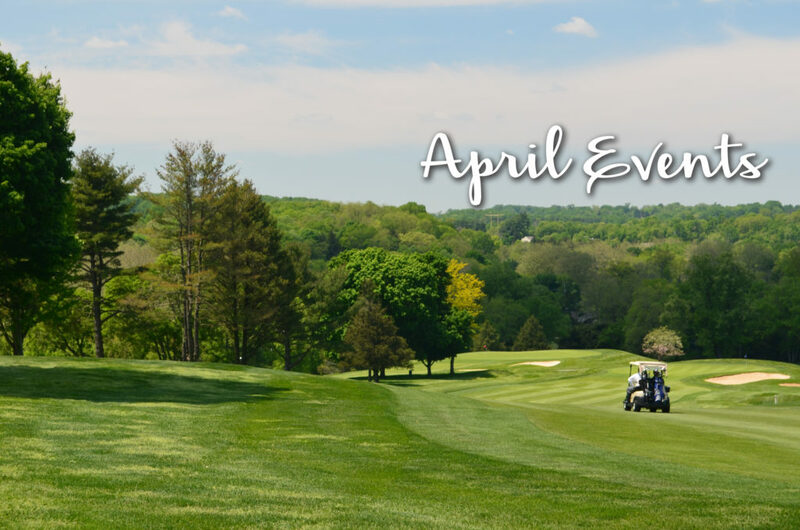 Take a look at what’s happening in West Chester for the month of April. The Resident Theater Company presents Dirty Rotten Scoundrels, based on the 1988 film. It takes us back to the French Riviera, with hysterical comedy and mischief. Music and lyrics by Tony Award-nominee David Yazbek (The Full Monty). The show is recommended for ages 10+. Children under eight can-not attend. Discounts are available for seniors, students and groups. Tickets are available for purchase on RTC’s and Uptown!’s websites. April 7 Handmade Craft Fair Spring is here, and what better way to get rid of all the winter blues than with some new artwork? Handmade art from local craftspeople will be available for purchase. This free event runs 1pm–5pm. Come out and enjoy a local art exhibit by artists Katee Boyle, Kate McGammon, Anne Mitchell Reid. The exhibit will open at 5pm and last until 8:30pm. This is a public event, and is free to attend. Light refreshments will also be served. Enjoy a delicious breakfast outdoors with the family at Highland Orchards. This event is offered both Saturday and Sunday starting at 8am. The breakfast includes: pancakes, sausage, fruit, an apple cider donut, a choice of juice, milk, coffee & tea. There will also be hayrides to visit the Easter bunny available as well. Breakfast will cost $7 a plate, and hayrides will be an additional fee. You can register online on their website, or when you get there. Last seating will end at 11am. 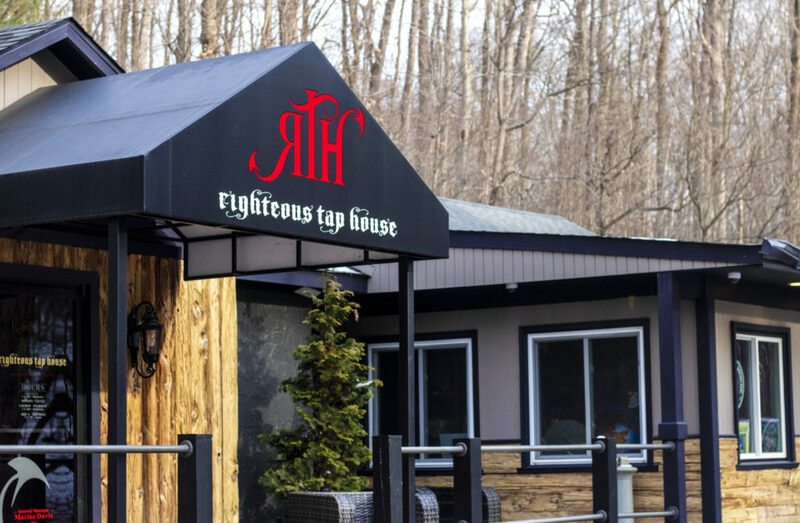 Wind down the weekend with some blues music, and tasty beverages. Sunday will start off with a set from the house band, and then the stage will open up towards local blues musicians after. Unfortunately, this is not an open mic setting, but it’s open to all professional musicians who are interested in networking and playing blues music with other musicians. The event will go from 2pm to 6pm. Magical Mystery Doors is a tribute act — blending three legendary bands together to create new and unique music. The Beatles, The Doors, and Led Zeppelin are the iconic groups, who have shaped our musical culture to what it is today. Their songs are a part of our history, bringing fans together as a community. For those who attend the Magical Mystery Doors performance can expect to hear timeless scores from each of these memorable bands. Tickets are available on Uptown!’s website, for only $20 each with an additional $3 service fee. The show starts at 7pm and will last for 120 minutes. Love playing FIFA? Join the 19th Live Tournament. Level 13 E-Sports Gaming Center is partnering up with Kildare’s Pub, hosting the event. Players will compete in a bracket format, single elimination to win the title of West Chester’s Best FIFA player. The first prize of $1,000 in cash. The games start at 10am, and will last until there’s a winner. You can sign up through Eventbrite, and can be found as an event on Facebook. Ever wonder why and how artists create their masterpieces? Artists Katee Boyle, Kate McGammon, and Anne Mitchell can answer these questions. They will speak more about their recent works from the Common Thread art exhibit. This event starts at 7pm and ends at 8pm. Join students and faculty for a special lecture and reception celebrating the opening of the 11th student co-curated exhibit. The exhibit features artifacts from East and West Berlin including: military materials, tourist souvenirs, everyday objects, toys, and even authentic pieces of the wall. The lecture will be by Dr. Nikolai from the Bulgarian Academy of Sciences in Sofia, Bulgaria. After there will be a short discussion by the West Chester University faculty, and a reception. This event is from 6pm to 8pm, free and open to the public. Reservations can be made upon request. Come out to West Chester’s film festival, showcasing diverse films from around the world. With over 60 films being shown within 3 days at the Uptown! Knauer Performing Arts Center and the Chester County Historical Society. Come out and enjoy additional events happening such as the opening night party, filmmaker workshops, and meet & greets as well. Towards the end of the weekend — Sunday night will be celebrating the “best of the fest” at the Chester Awards Party. The Family Film Festival on Saturday morning is free for ages 10 and younger, followed by the Young Filmmaker Festival that showcases short films, from local and international students. All events are open to the public. Tickets are available online through the West Chester Film Festival’s website. Hosted by WCU Chester County Alumni Chapter, join fellow alumni for a golf outing at Radley Run Country Club. The day will be full of prizes, competitions, raffles, and networking. The event will start around 10am and last until 8pm. 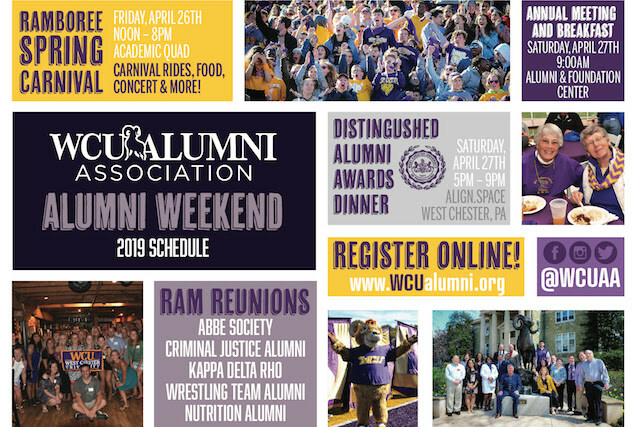 Tickets are available for purchase on the WCU Alumni Association’s website.